In a competitive and growing market, international businesses require sufficient, uninterrupted cash flows to operate. This ensures that when a large purchase order is received it will not tie up capital for months. A delay in payment of an order could spell disaster for any businesses. Import trade financing is a solution. Under the terms of most agreements, the customer can take up to 90 days to pay for purchased goods. To ease the wait, importers sometimes turn to banks, where they quickly find that financing is slow to set up and can be difficult to obtain. Fortunately, import trade finance offers a solution for importers with capital needs to deliver product. With invoice financing, the factoring company (or “factor”) relies on the invoice as collateral, and the necessary funds are provided to the importer to complete the transaction. Often taking less than a few days to deliver funds to the importer’s account, this quick financing method can help your business overcome financial hurdles more seamlessly. Here’s how import trade financing works: an importing company receives a new order for goods from a customer. The customer can often request extended payment terms, but if the importing company doesn’t have enough working capital to float the deal and keep new business flowing, it can turn to a factor. The factor will evaluate the invoices as well as the creditworthiness of the customer to determine if they can fund the deal. The goods are paid for directly to the foreign supplier, are transferred to the importer’s warehouse, and from there they are delivered to the end customer. Once the customer receives the goods, the importer invoices the customer and submits a copy to the factor. An advance of up to 80% of the funds is sent from the factor to the importer, with the remainder held in reserve. Payment is made directly by the customer to the factoring company under the original terms of the invoice. The factoring company then remits the balance of the amount collected to the importer less a factoring fee, and the fee for purchasing goods on behalf of the importer. It’s important that the importer makes enough margins on the product to use a trade financing mechanism like this, otherwise they will lose money on the trade. 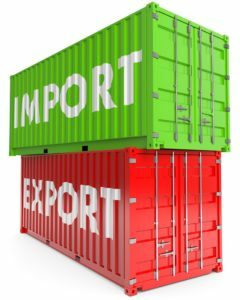 Import trade businesses find that financing allows for a more confident experience while engaging with the market. With many unknowns in the market, it’s easier to allow import trade financing to bring certainty to the process, allowing the importer to focus on sales and operations.